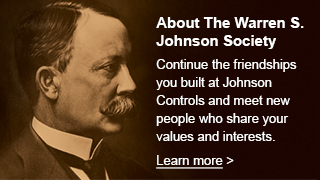 Johnson Controls participates in a number of programs that offer discounts to employees. The listing of programs available to current employees is posted on the employee discount page of the company portal. That is a secure site available only to current employees. The listing below contains those programs that are also available to retirees of Johnson Controls. Please note that not all employee discount programs are available to retirees. Thanks to Johnson Controls Employee Services for sharing this list with us. Please read the requirements for the program you are exploring carefully. The information here provides a link to a company or program website, a brief description of the process to follow and, in most cases, an ID and/or PIN number. The ID and PIN are used in the process to identify you as an applicant from Johnson Controls. Note: The Optima Battery Purchase Program is no longer available to retirees. Johnson Controls employees and retirees are eligible for discounted prices on computer systems and accessories. Johnson Controls employees and retirees receive discounts on a number of specially selected systems and accessories and reduced-priced shipping options. Use ID Number GS13388127 when making your purchase. Johnson Controls employees and retirees receive an everyday discount of 15% off all regular-priced merchandise at all U.S. and Canadian Brooks Brothers Stores nationwide, online and by phone. Enroll for membership, valid for 2 years, in the Brooks Brothers Corporate Membership Program. Johnson Controls employees and retirees receive a 10% discount on auto insurance and a 5% discount on home insurance by becoming a member of Liberty Mutual’s Group Savings Plus Program. To obtain this deal, just mention that you are from Johnson Controls, Inc.
Johnson Controls retirees receive a 45% discount on furniture and mattresses and a 40% discount on all other merchandise when paid in full prior to delivery. Offer not valid on prior sales. Pricing not valid on limited supply units and some specialty vehicles- see dealer for details. Pricing does not reflect actual dealer cost due to incentives and factory holdback. Tax, title and licensing fees are customer responsibility. EAG reserves the right to change or discontinue this program at any time. Program benefits are not guaranteed unless appointment is scheduled prior to dealership visit. Johnson Controls employees and retirees receive a 10% discount on carpet and a 5% discount on hard surface products. Offer cannot be combined with any other discounts of special sale pricing. Discount applies to flooring material only, excludes labor. Discount valid at any Kerns Carpet One location. Receive up to 15% off car rentals nationwide. To take advantage of the discount, click on the title to visit the Avis Rent A Car website, or call 1-800-831-2847. Use Discount Code A145600. Receive a discount at participating Choice Hotels, including Comfort Inn, Comfort Suites, Quality, Sleep Inn, MainStay Suites, Econo Lodge and Rodeway Inn. To take advantage of the discount, call 1-800-258-2847, refer to ID 00044073 and request the ESM Discount. This discount is based on availability at participating hotels and is not for use in conjunction with any other discount offer or promotional rate. To view discounts on lodging, car rental and attractions at the OnMyTime.com website click on the title enter Johnson Controls, Inc into search bar. Johnson Controls employees and retirees receive discounts ranging from $5 per ticket to 30% off regular price. Discounts are valid for First Stage, Milwaukee Ballet, Milwaukee Symphony, Marcus Center Presents, Off-Broadway and Broadway shows. Ticket locations may be substituted due to high demand. Specific seat locations are not given, it is not a live sale. Tickets are assigned on a best available basis. Not valid on previously purchased tickets. No exchanges or refunds. Please specify any special needs or requests in the additional comments box at the bottom of the order page. Employees and retirees may purchase a family/dual museum membership at a 20% discount. Membership includes general admission for two adults and children/grandchildren under 17. It also includes unlimited access to the feature exhibition. Visit Milwaukee Art Museum/Membership for more information and terms of membership. To take advantage of the discount, call the museum’s membership hotline at 414-224-3284 and mention you are a Johnson Controls employee. Save up to 50% on tickets to Brewers games throughout the season. Go to the Brewers’ Ticketing Site and enter password (updated yearly, still to be set for 2015). Click on the “T” on the date of the game you would like to attend. Games will be added each month, so check back for more offers. You can take advantage of the supplier purchase program by downloading an Audi Supplier Purchase Program certificate from the Audi Supplier website (click on the title). Select “Obtain certificate” on the Audi supplier site and enter the Supplier Company Number 0129AD, your first and last names. Take the certificate to a participating Audi dealer. For Chrysler discounts, go to the Chrysler Affiliate Rewards Program website (click on the title), or call the program hotline at 1-888-444-4321. When prompted, enter the Code S53130. To obtain special X-Plan pricing, go to the Ford Partner Recognition website (click on the title), or call 877-975-2600. When prompted, enter Partner Code J6150. Update March 30, 2015: We called their 800 number and found that the Nissan/Infiniti VPP Discount is not available to retirees. To participate in the supplier purchase program, go to the VW Partner Program website (click on the title). Use Partner Code 0123OI. (Note the last two characters are capital “O” and “I” ). Remember to enter employee type and your contact information and click on Get Certificate. More information is available in the drop down boxes under Partner Program.